This coming week our library celebrates Banned Books Week so this week’s Five Star Friday recommendation is The Awakening by Kate Chopin since it not only is a revolutionary feminist tale, but has been frequently banned and challenged throughout history. At the time of The Awakening’s publication in 1899, when the Women’s Suffrage Movement was in full swing, many organizations didn’t like the message it sent to women, that they had the right to independence and to choose new and even unconventional paths for their lives, paths that may or may not involve children or even marriage. Another prime reason it was banned was because it exhibited female sexuality. If you haven’t already read The Awakening, you may consider checking it out to celebrate your right to read this pivotal work of fiction. Kate Chopin was one of the most individual and adventurous nineteenth-century American writers. Her fiction explored new and often startling territory. 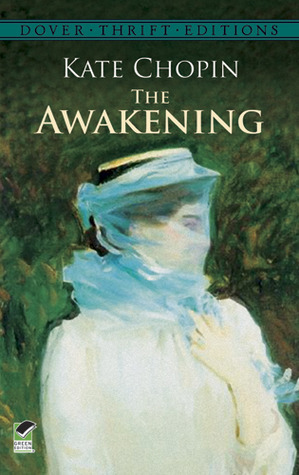 When her most famous story, The Awakening, was first published in 1899, it stunned readers with its frank portrayal of the inner world of Edna Pontellier, and its daring criticism of the limits of marriage and motherhood. The subtle beauty of Chopin’s writing contrasted with her ‘unwomanly’ and ‘sordid’ subject matter–Edna’s rejection of her domestic role, and her passionate quest for spiritual, sexual, and artistic freedom. If you’d like to read a book featuring a strong female lead finding her way during a more than oppressive time, please check out The Awakening. Its plot is surprising, yet fulfilling, and since the story is set in Grand Isle and New Orleans, it is rich and full of culture and interesting characters. I can’t reccomend this book enough. So if you’d like to check out The Awakening, come visit our Banned Books display in the cafe area of the library. It features books that haved been burned, banned, challenged, and censored through the years, including many published in the last few years. Happy Banned Book Week to all!